A friend and I were looking for a place to grab a quick bite for lunch in Coffeyville, Kansas. 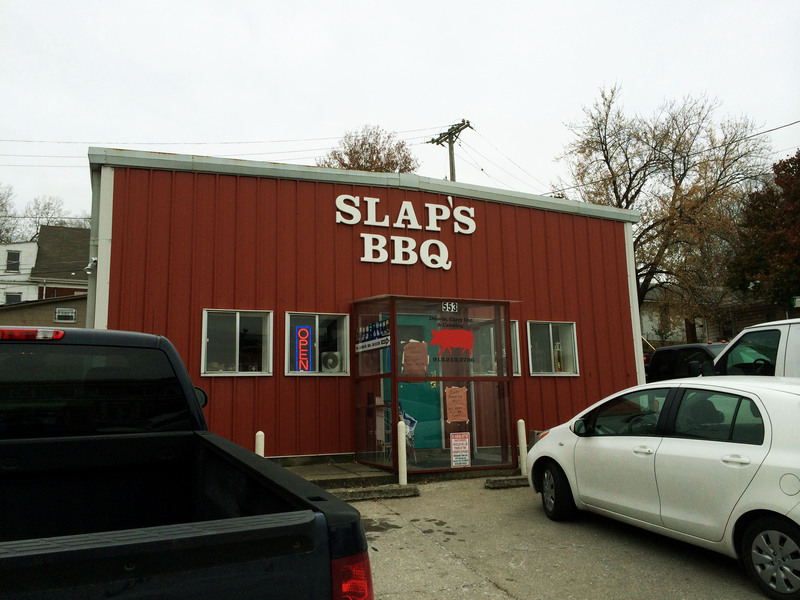 As luck would have it, he suggested a local barbecue restaurant…to which I cannot say no! 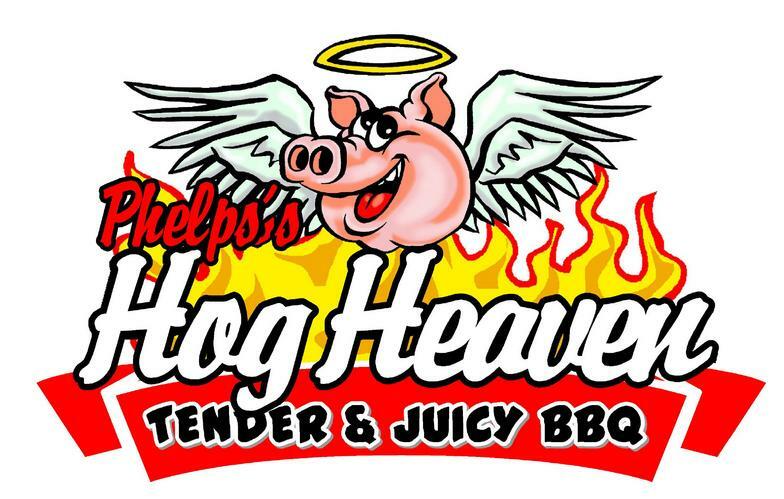 Phelps’s Hog Heaven located at 511 west 11th street in Coffeyville is a sure bet if you want pork in Southeast Kansas. 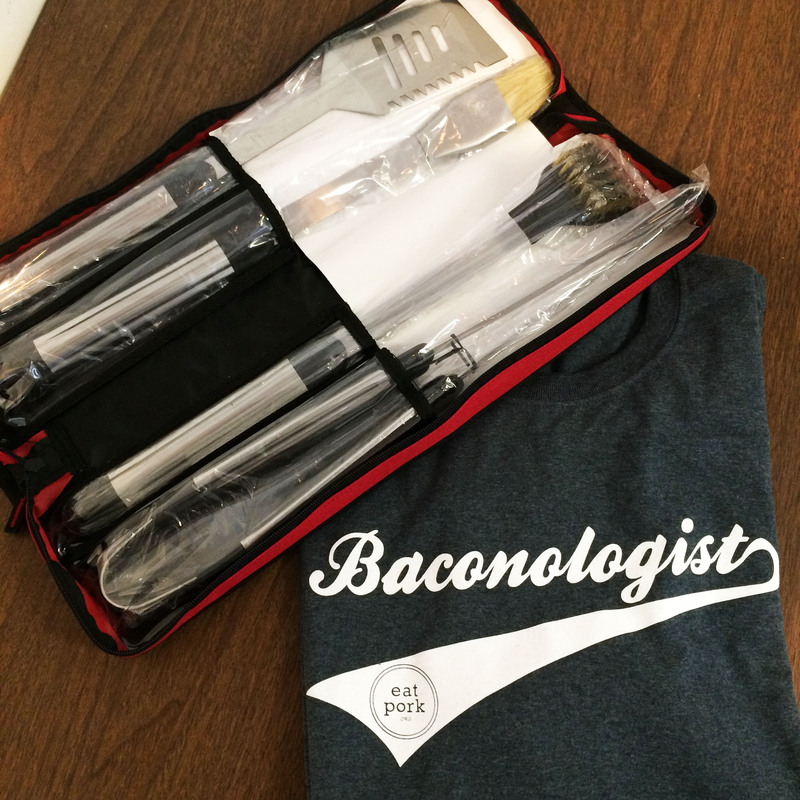 According to their website, all meats are hickory smoked, which is always a good sign when you want good barbecue. Phelps’s features a wall of flame, which as you might guess is a photo gallery of food challenge winners. To get your picture on the wall you must manage to eat three extremely hot ribs….a task failed by many but achieved by a few brave spicy food lovers. I chose to forego the food challenge and order a sampler platter complete with a majority of the meats available. One of my favorites was the smoked bologna, a specialty across the border in Oklahoma, but a barbecue item sadly left absent from many Kansas restaurant menus. The ribs were pretty good too. 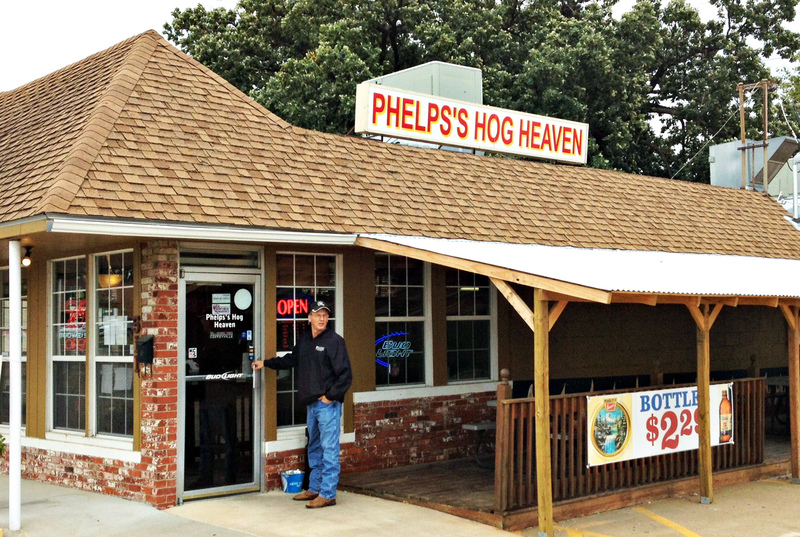 In fact, Phelps’s Hog Heaven could be one of the better Kansas Barbecue restaurants to be found outside the Kansas City metro area. 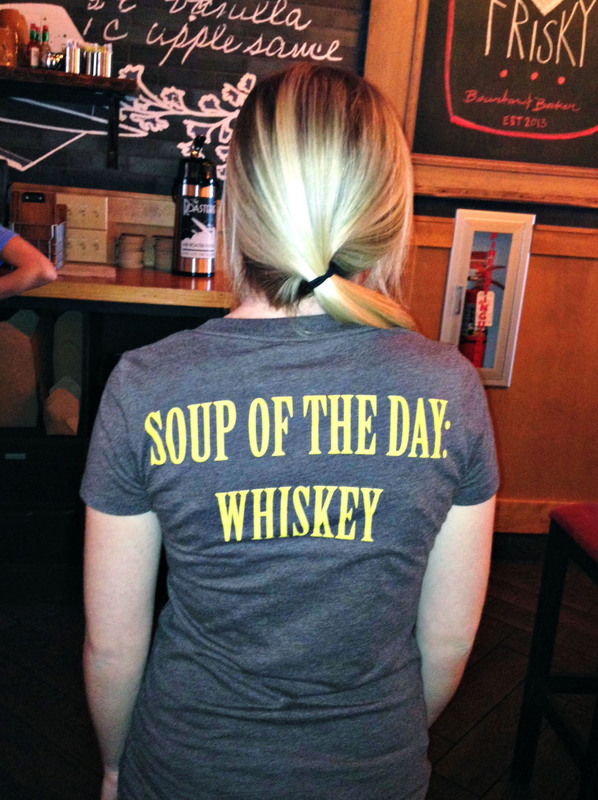 I would encourage you to give it shot. Check out the bologna and let me know if you successfully complete the wall of flame challenge! 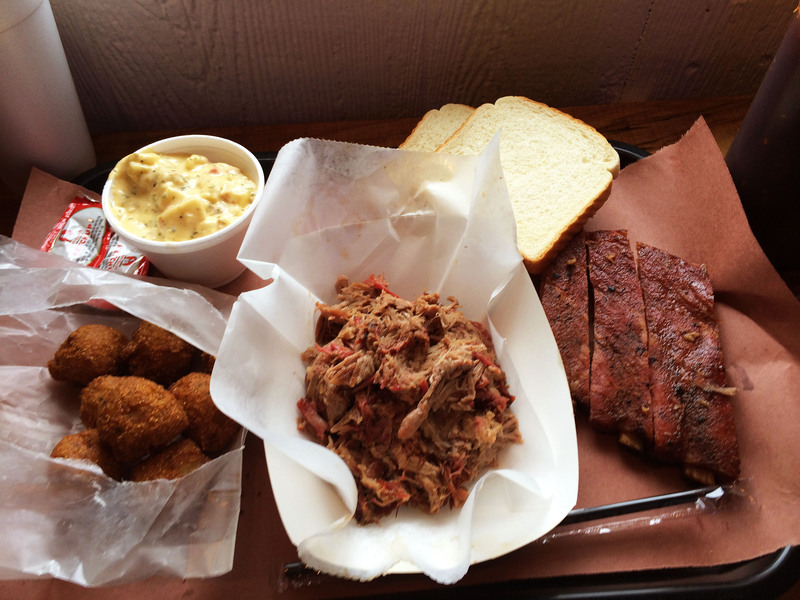 Sometimes you might crave BBQ in the KC area, but can’t decide where to go. The fact that you have too many good choices can be a problem. Do you go to one of new, untested places you’ve only heard about? Do you go to one of the old, famous places and fight the tourist crowd? Do you go to one of the highly advertised places and stand in line for an hour? 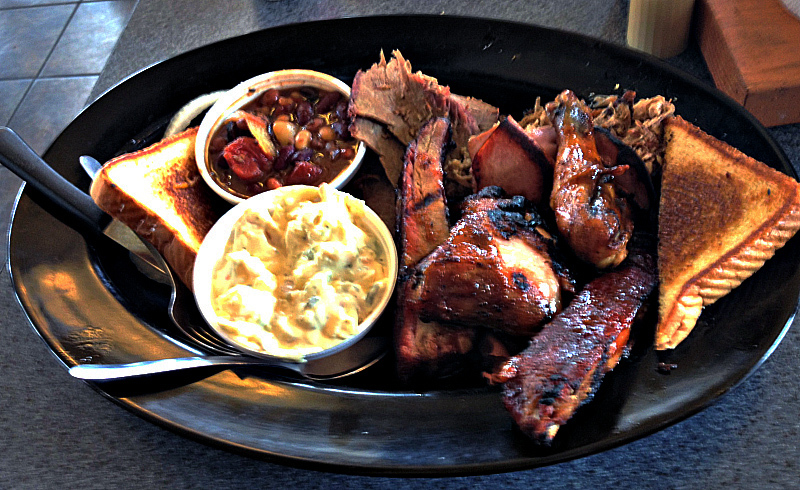 Eating BBQ in KC can be a tough life at times, but it doesn’t need to be. If none of the choices above sound good, it’s time to look at some of the overlooked, but tried and true places around the metro. 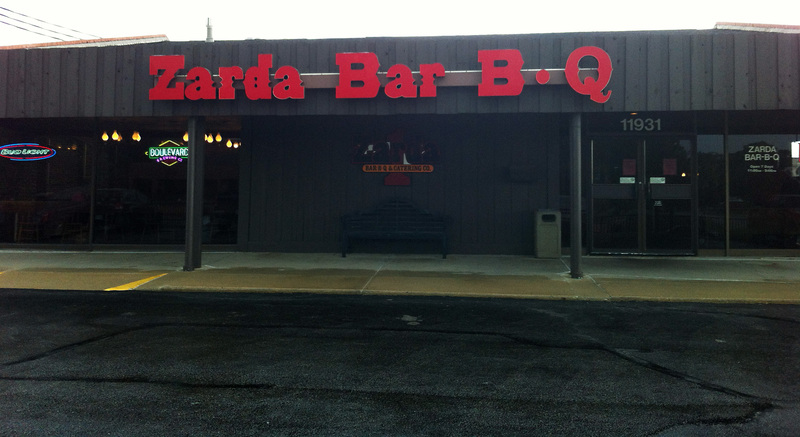 One prime example of this type of place is “Zarda Bar-B-Q and Catering Company”. With locations in Lenexa (on 87th just west of I-35) and Blue Springs, MO (on MO Hwy. 7) they aren’t too hard to find. What I’ve found about Zarda over the years is that they are amazingly consistent, and they’re a pork lover’s dream. 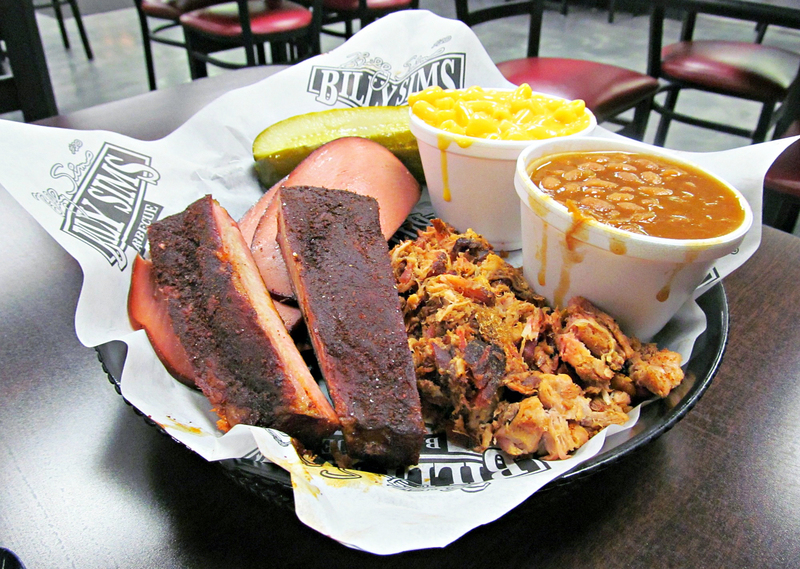 The ribs and pulled pork are always good, and the sausage, while a different style than most places, has great flavor. They will serve everything “wet”, or with sauce on it. If that’s not your cup of tea, then ask for it to be served dry. The sides are always good there too (which is important). I would contend that they have some of the best beans in the whole city! Between the good location, the spacious (and nice) dining area, and the overall food quality, it’s a great place to go if you’re in town visiting (or live here), and don’t want to waste time driving, standing in line, or waiting on slow service. 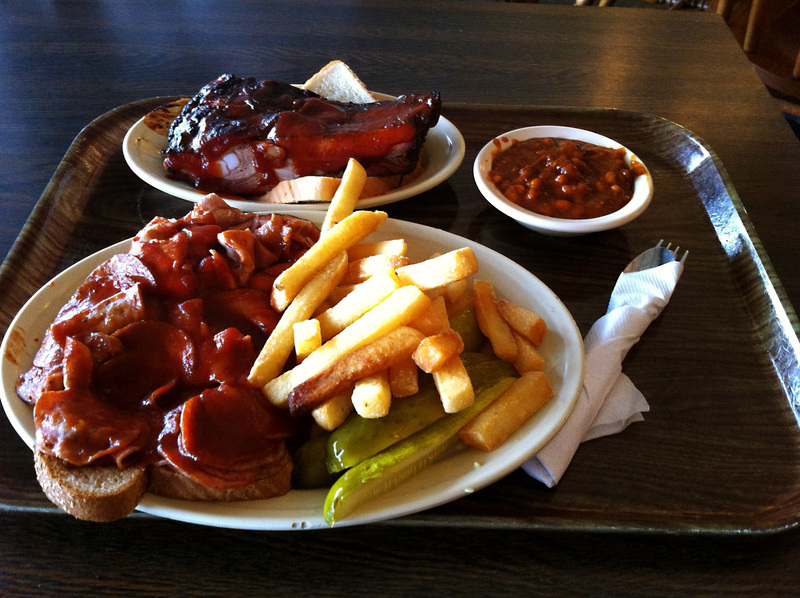 I’ve seen barbecue restaurants come and go all over western Kansas and with exception, most were average at best. I’m pleased to report about a new one that is at the very least, above average. 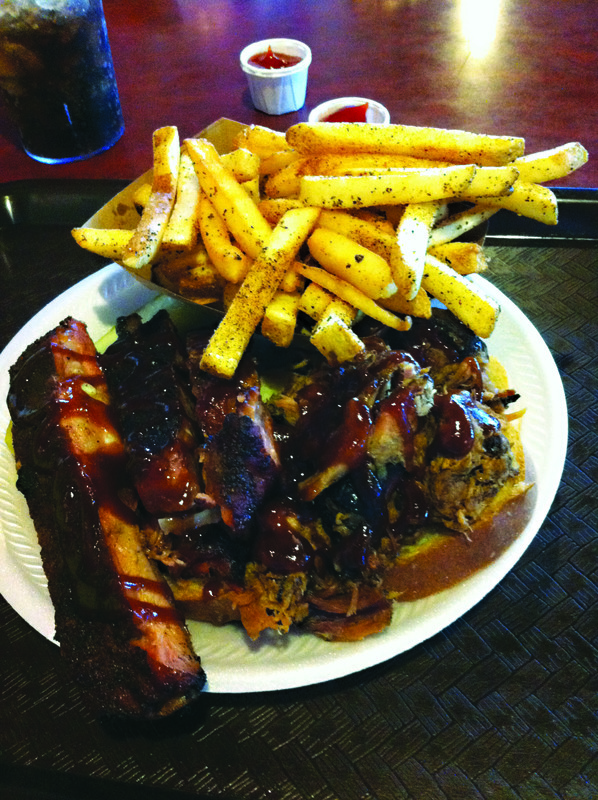 TK’s Smokehaus located at 110 West 11th in downtown Hays, Kansas is one that just might stick around. The restaurant sits in a cool old downtown building complete with high tin ceilings and hardwood floors. 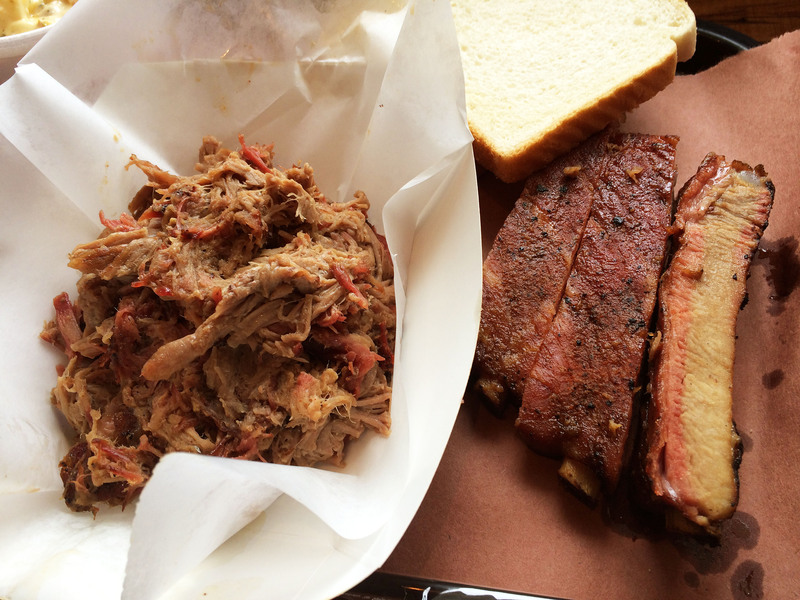 What really sets the place apart from many other barbecue joints is that they use an offset style wood smoker rather than an industrial model rotisserie that many competitors use. 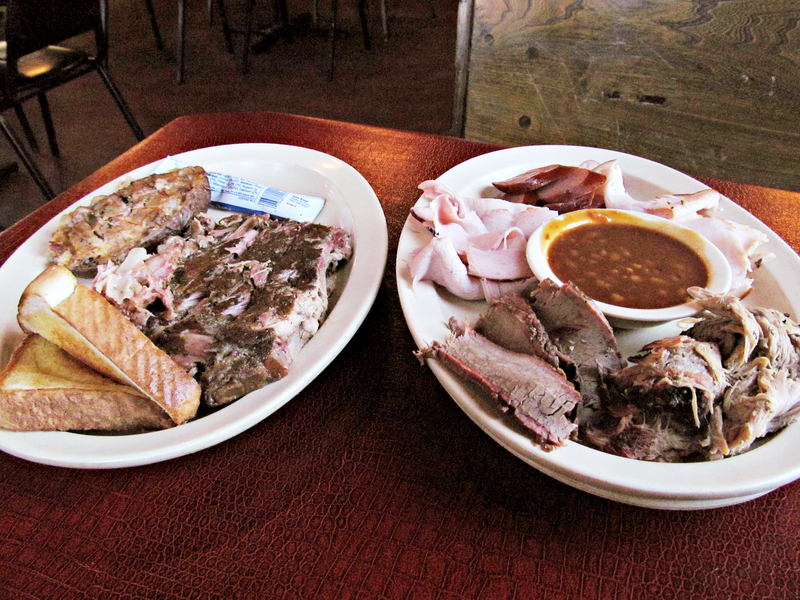 The difference was obvious and soon as the waitress brought me out the “pitmaster plate”. I could smell that the meat was wood smoked! It had a delicious wood smoke flavor as well. I have to fault TK’s for serving their barbecue wet (with sauce on it), when it could suffice on its own merits, served up perfectly well, sauce free. The service wasn’t extremely fast but portion sizes were impressive. The hot links were actually hot, as opposed to the “mild at best” variety found elsewhere. The sweetly flavored beans had nearly as much pork in them as beans and a hint of jalapeno pepper induced heat. Hopefully, TK’s Smokehaus is here to stay. I look forward to coming back. 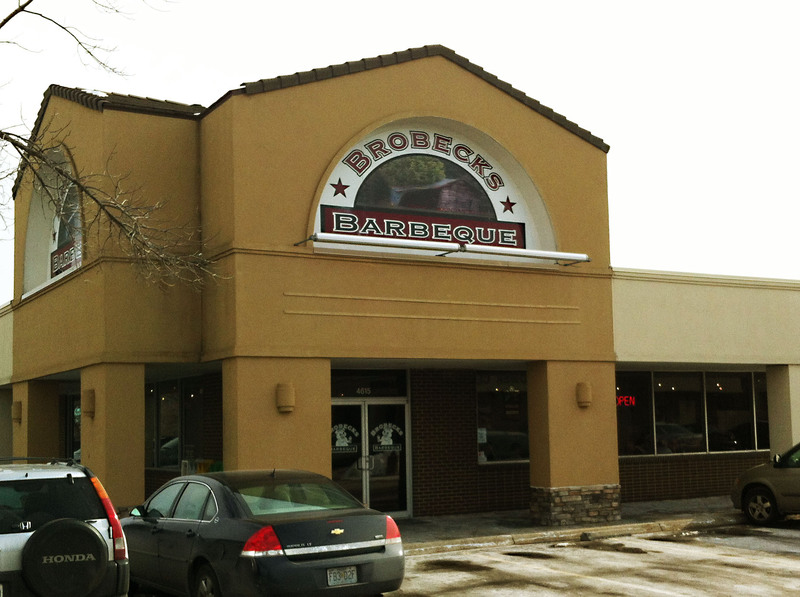 Brobeck’s BBQ in Overland Park is a place I first heard of as I talked with a friend that grew up around Louisburg, KS. He told me of a place that used to be on Metcalf, near Stillwell, KS that burned down years ago, but all the people in the area thought it was the best BBQ around. He went on to tell me they moved up to Overland Park after the fire and opened back up. It took me a bit by surprise, because I’d lived here a few years at the time and had never heard of the place. 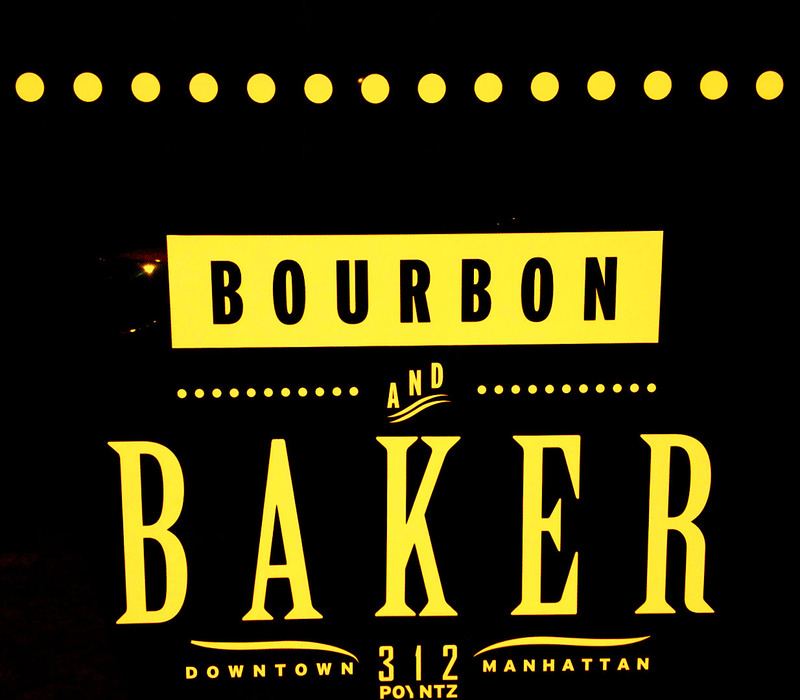 I looked them up, and there they were, nestled in a small strip mall near the Overland Park Convention Center. They are just north of I-435, on the east side of Roe Ave. Brobeck’s BBQ doesn’t apparently advertise heavily, since I’d never even heard of them, but apparently they don’t have to. I went in there awhile back a little ahead of noon, and felt lucky just to get a place to sit down it was so busy! I did my homework before I went and had read several times that their ribs were to die for, so I made sure to try those on the visit. I have to say they did not disappoint. You can see from the picture that there is a nice crust of dry rub on them, and a beautiful pink color to the meat. Some people might have found them to be a bit dry, but they were about perfect to my taste. They were as tender as ribs get, and the dry rub gave the meat all the added flavor it could ever need. The pulled pork was average at best, but the steak fries were awesome! 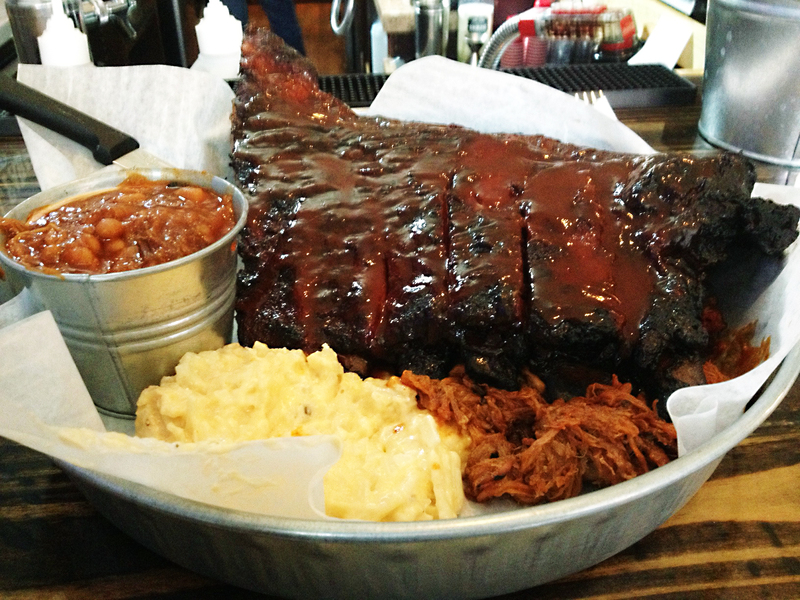 I’d say the long story short for this place is you come for the ribs, but stay for the ribs! 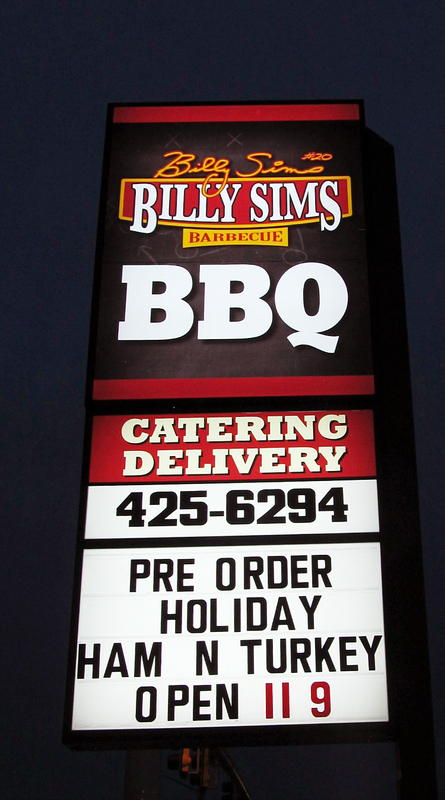 Among the new wave of BBQ joints that opened last year in Johnson County is a place called “Smokey’s on the Blvd BBQ” over on Metcalf, just south of 143rd St. in Overland Park. I finally went over there today to try some of that BBQ I kept hearing good things about from others. 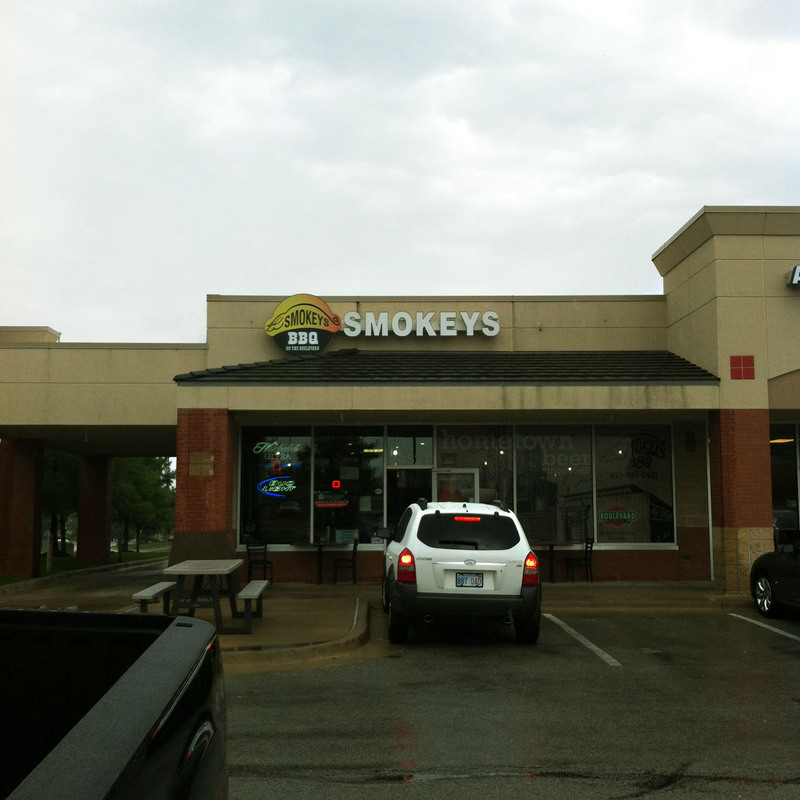 Smokey’s is a lively little place in a strip mall that has a full service menu that remains surprisingly simple. To me, it is a welcome addition to the area, as there hasn’t been a quality BBQ joint in that neighborhood for quite awhile as far as I can tell. It’s an area chock-full of sports bars and upscale fast food places that had no good “mom and pop” high quality ‘que being served until about a year ago when Smokey’s opened. I ordered the combo plate that came with 2 meats (add $1.00 for ribs) and a side, so I (of course) chose pork ribs and pulled pork. The ribs were very good I thought, and were well-seasoned with a very flavorful dry rub. The ribs had just a small amount of Smokey’s cream-based BBQ sauce on them, which added a nice flavor without taking over. The pulled pork had the same rub on it I think, and it went well there too, as it did on the ribs. The pulled pork was smokey and had some crispy bark on it which made for a nice flavor. For my side, I chose the “spicy” fries. They were hand cut fries that were perfectly cooked, and they had been sprinkled with the dry rub as well, which made them even more delicious! Long story short is Smokey’s seems to be worth the time it takes to visit it. 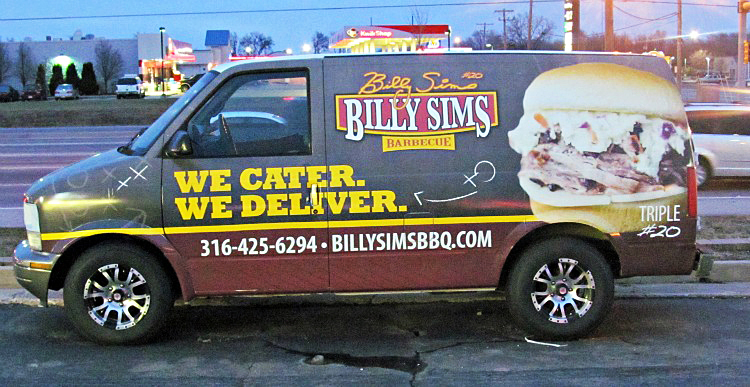 They are cooking up classic KC style BBQ in an area that I’d jokingly deemed a “BBQ Desert” in the past, which is good news to all those parched souls looking to quench their BBQ thirst in southern Overland Park!